Making delicious wine is a feat of its own, but getting your brand recognition out there is a whole new game. You worked hard to perfect your craft, so naturally the next step is to have your efforts recognized. At Corkscrewed Designs, we create marketing products for wineries and vineyards. We understand the importance of commercialization in the wine industry. Our accessories are personalized for your specific winery. We treat our clients with respect and honesty, because we want you to succeed. Whether you're new or a veteran of the wine industry, we help you boost your business through our various products and merchandise. Have your brand recognized with accessories that have your logo on them. Corkscrewed Designs creates unique winery merchandise to represent your business. We make T-shirts, corkscrews, and various other products with your company logo on it. 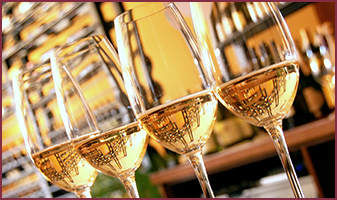 Our products cater to everyday wine fanatics, ensuring you're able to advertise to your target market. Get a FREE consultation to find out what merchandise we can make for you.